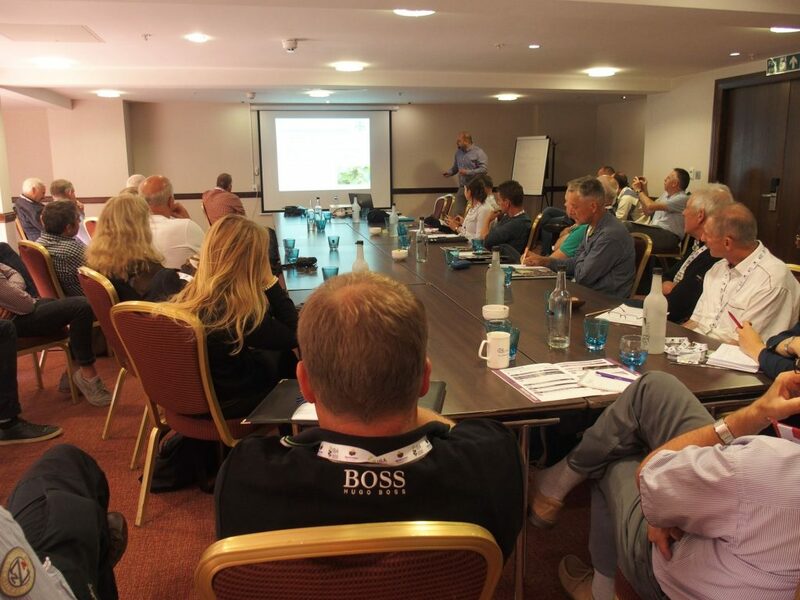 The 5th International Blackcurrant Conference in Ashford, UK: a huge success! 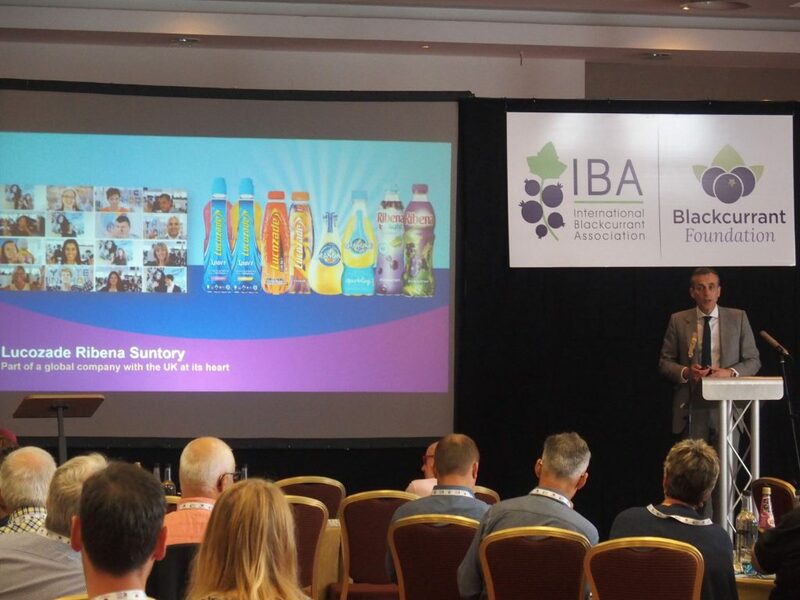 From 14th to 16th June, Ashford (United Kingdom) was the place to be for all those involved in the blackcurrant industry worldwide. 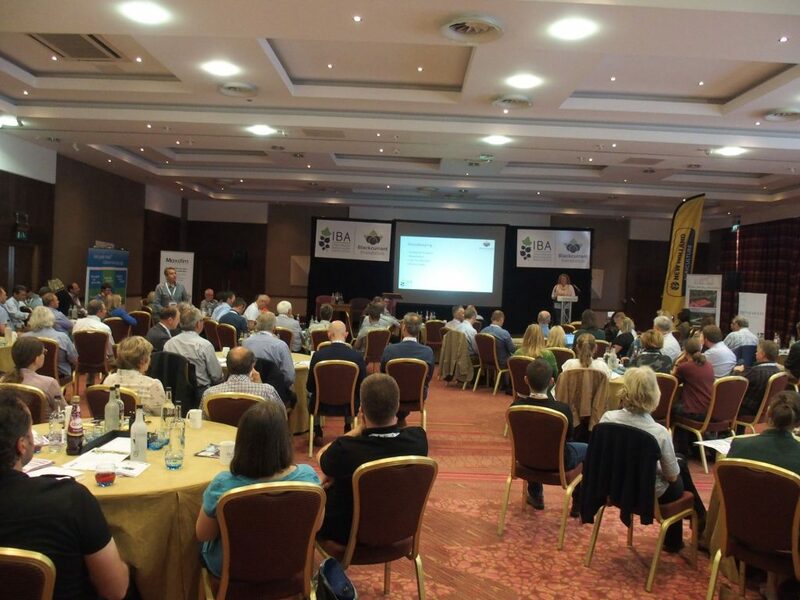 More than 120 delegates from 16 different countries enjoyed a very warm welcome by the British organizing team, a lovely selection of high profile speakers and an exclusive overall programme with a perfect conference setup. It is impossible to relate everything in detail, but it’s worth having a look at what you may have missed – or remind some delightful moments if you were among us. I wide spectrum of topics has been presented during the two days of our conference by almost 20 speakers from all over the world: new results of the research on health benefits of our superfruit, valuable marketing initiatives and global trends in the food market, agronomy, pest management and plant breeding. They gave place to discussions and will hopefully lead to nice developments in the future for blackcurrants. Almost all the speakers were happy to share their presentations for the IBA website. If you could not be in Ashford, you may still read them – and if you were present, you may want to see them again and go through them at your own path. Check our web-library for the presentations of your interest. 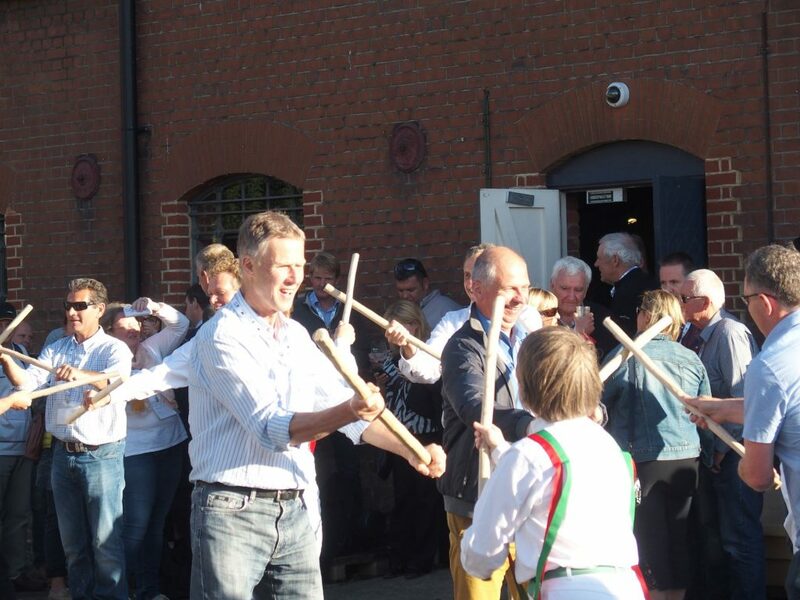 Visit of Britain’s Oldest brewer: Shepherd Neame – and Morris dancing! There was not much time for our delegates for discovering Kent – the blackcurrant programme was intensive, but still left a little place for discovering new things. 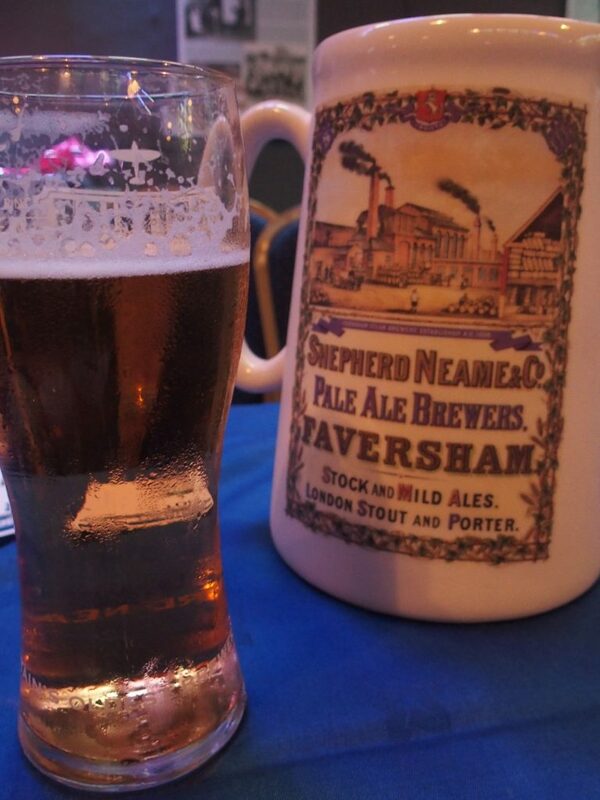 A visit has been organized to Britain’s oldest brewer, Shepherd Neame, followed by a tasting of their different beers. More authentic even: the delegates were introduced to Morris dancing. After examining the professional dancers, the conference participants were given the opportunity to participate themselves. 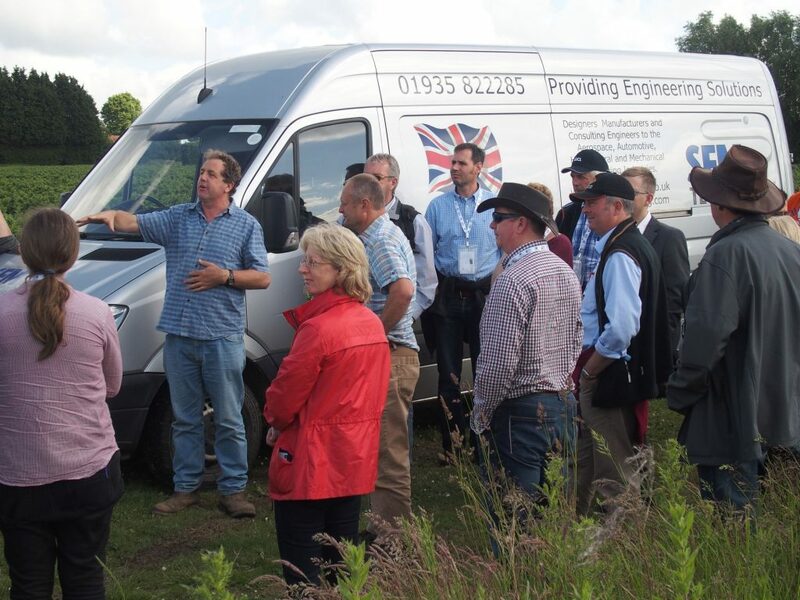 An afternoon tour of an exemplar grower and machinery demo gave opportunity to the delegates to discover British varieties and growing methods. It was also a perfect setting for the demonstration of machinery of the conference’s partners: latest European equipment for harvesting, pruning, spraying and plantation management have been shown by leading manufacturers and suppliers. Self-driven tractor: the future for farmers? By the way, if you are a grower, have you ever thought of all the things you could do while not sitting on a tractor for spraying, and being far from plant protection products? Well, it may be time to think of it: we have been shown a self-driven tractor! The future is already here and now! The IBA President Dirk Herdieckerhoff and General Manager Stefanie Sharma have spoken about what has happened over the past year, and outlined what will be coming during the next year. You may read the president’s annual report and the General Manager’s report on activities in details. During the Annual General Meeting, elections have been held for 2 vice-presidents and presidency. 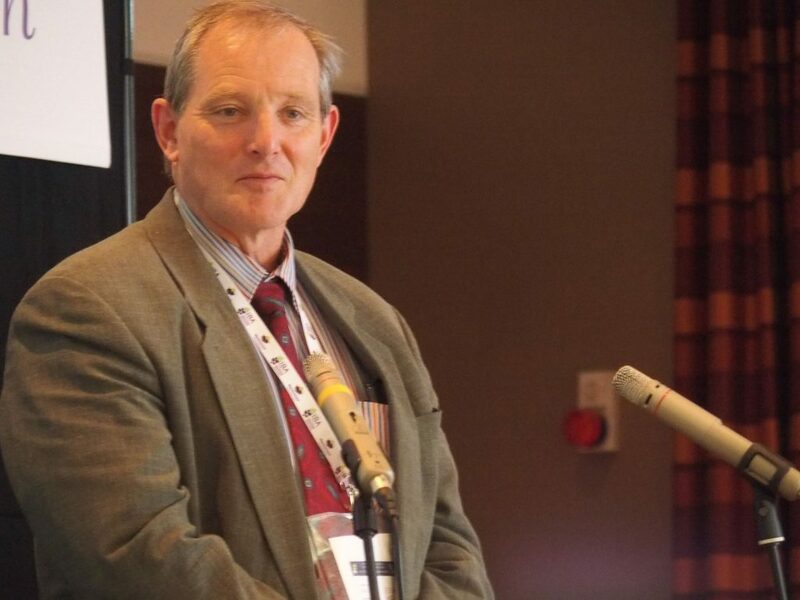 The newly elected IBA President for the next two years is now Anthony Snell (United Kingdom). He is being assisted in the Executive by the two vice-presidents, Piotr Baryla (Poland) and Jens Holme Pedersen (Denmark), and the former president Dirk Herdieckerhoff (Germany). 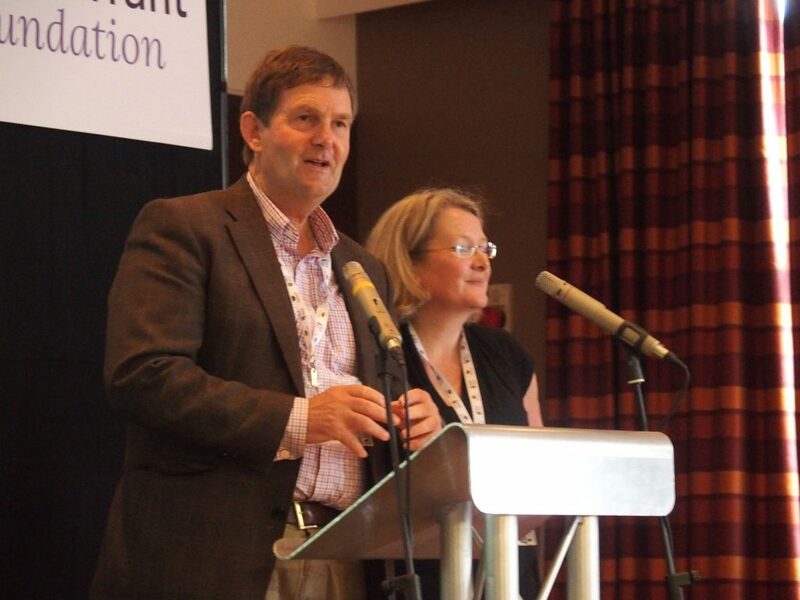 Minutes of the IBA Annual General Meeting will be available soon on the IBA website. 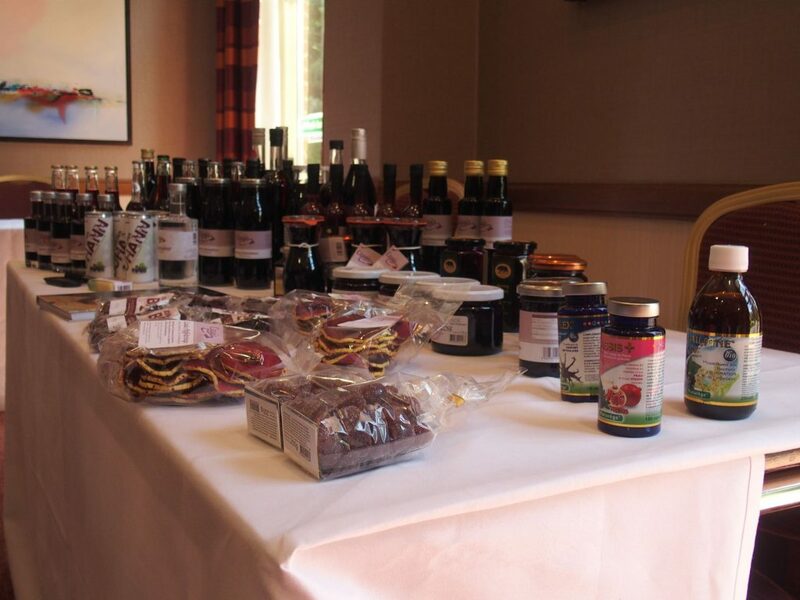 An amazing range of blackcurrant products from all over the world has been presented in Ashford: juices, liqueurs and other drinks, jams, vinegars, purees and more “exotic” products like apple rings or fruit pastes, and some nutraceuticals. Impossible to name all the participants in a short notice like this – and the panel had difficulties finding the winners. In the category of drinks, the blackcurrant liqueur “Cassis de Bourgogne IGP” by Védrenne was found best. In the category of food products, the “Scottish Blackcurrant Preserve” by MacKays was most convincing. In the category of functional food, it was Naturege’s “Cassis +”. 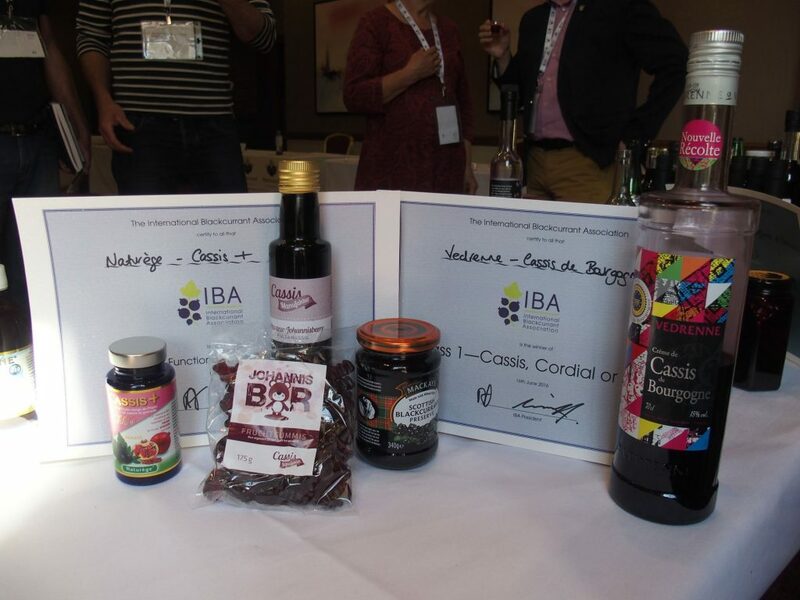 An overall winner for the blackcurrant product of the year 2016 has been found with the Cassismanufaktur: two excellent new products have been developed by this small company: gummy bears made of blackcurrant juice and a blackcurrant balsamic vinegar. Congratulations to the winners, and a huge THANK YOU to all the participants in the contest! The head of the IBA agronomy & plant breeding sector group sponsored by Bayer, Piotr Baryla, had decided to present a table of plant protection products for blackcurrants. 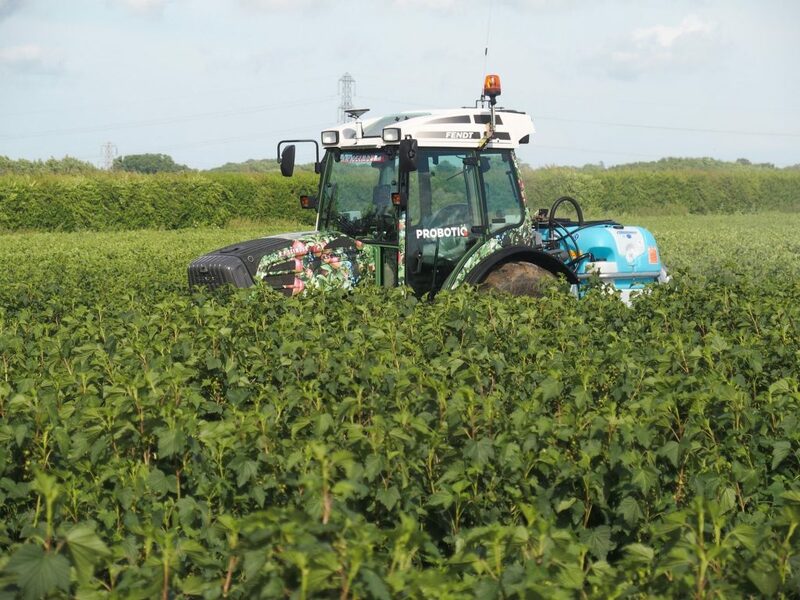 The data had been collected beforehand from the members of the sector group from all blackcurrant growing countries, and a (almost) complete file could have been established. It will be made available on the IBA website soon. See the final report of the sector group. 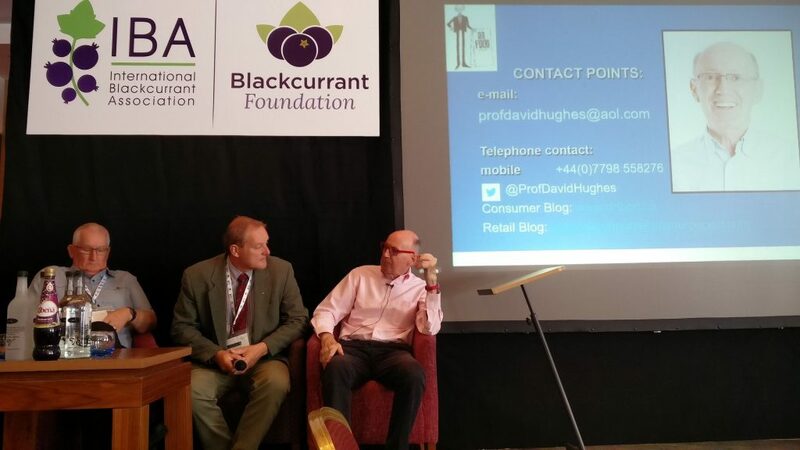 A second focus was made on blackcurrant varieties in blackcurrant growing countries. In the same way than for the data on plant protection products, representatives of each country have been asked to give information on all the varieties they grow before the conference. The amount of data received has been tremendous and needs further processing before being available to every grower. You will be informed about the development of the section dedicated to these subjects on the IBA website as soon as possible. In the meantime, you may contact the IBA General Manager for detailed information, or for joining the sector group.